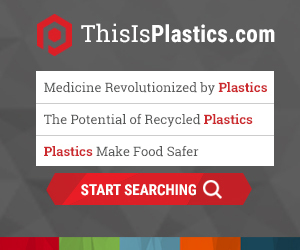 WASHINGTON, D.C., April 15, 2019—The Plastics Industry Association (PLASTICS) today announced Valerie Craig, vice president of operating programs for the National Geographic Society as the closing plenary speaker for the 2019 Re|focus Sustainability & Recycling Summit to be held on May 20-22 in Grand Rapids, Michigan. Craig previously worked on ocean and freshwater issues for National Geographic's Impact Initiatives and Explorer Programs and oversaw the Lindblad-National Geographic Fund. The closing plenary will focus on the challenges of plastic pollution and outline solutions to tackle the problem. “We are thrilled to engage in a healthy conversation with the team at National Geographic and welcome Valerie Craig in this special presentation and discussion that will explore the opportunities for the industry to help deliver solutions that will address this pressing environmental issue,” said PLASTICS’ vice president of sustainability Kim Holmes. Last year, National Geographic launched the Planet or Plastic? initiative, a global commitment to significantly reduce the amount of single-use plastic that reaches the ocean. By mobilizing global communities and investing in science, exploration, innovation and education, the effort aims to tackle the world’s plastic waste crisis. The Planet or Plastic? initiative is leading with science to develop an action plan that will help make the goal of ending plastic marine pollution a reality, and there is broad recognition that the plastic industry must be a key stakeholder in that strategy. In addition to Craig, Re|focus will feature an impressive lineup of speakers including Edmond Irizarry of Aveda, Denise Coogan of Subaru of America, Inc., Diane Herndon of Nestlé Purina Petcare Company and more.